Born in Tokyo, December 20, 1965. Taku Sugimoto started playing guitar when he was a high school student. At first he played rock and blues, and then he also became interested in free jazz, European free improvised music, and avant-garde classical music. In 1985, Sugimoto co-founded the improvisational psychedelic rock band Piero Manzoni, whose main influences were the Velvet Underground and MC5. The group, including Masaki Bato on bass and Sugimoto on guitar, disbanded in '88. For the next few years, Sugimoto was involved in solo performance and session work. It was during this period that he released his first solo LP, Mienai Tenshi ('88), which had a big, heavy sound. In '91, Sugimoto started playing cello, and for the next two years abandoned the guitar in order to focus completely on this instrument. He formed Henkyo Gakudan (which was active in '91-'92) with alto sax player Hiroshi Itsui and guitarist Michio Kurihara. The group's music sounded like somewhat high-volume improvised chamber music. Sugimoto was also briefly a member, in '93, of the psychedelic rock band Ghost, and in '94, of Tetuzi Akiyama's avant-garde classical music band Hikyo String Quintet. After releasing his cello solo CD Slub in '94, Sugimoto gave up the cello. Sugimoto and Tetuzi Akiyama launched their guitar duo Akiyama-Sugimoto in '94. From that time, Sugimoto gradually shifted from a loud, heavy sound to the extremely quiet sound, full of silences, which he established through solo and other projects as his own unique style. In 1998, together with Akiyama and Toshimaru Nakamura, he launched the inspiring monthly concert series The Improvisation Meeting at Bar Aoyama (renamed The Experimental Meeting at Bar Aoyama in '99, and Meeting at Off Site in 2000), which he continued to organize until his retirement from the series in February 2001. Currently Sugimoto's interest focuses on composition and its performance, rather than improvisation. With Taku Unami and Masahiko Okura, Sugimoto organizes the almost-monthly Chamber Music Concert at Loop-Line and the irregular Taku Sugimoto Composition Series at Kid Ailack Art Hall, both in Tokyo. He runs the label Slub Music, which in addition to Sugimoto's own recordings releases CDs by Taku Unami, Kazushige Kinoshita, Radu Malfatti, Antoine Beuger, and others. Sugimoto, Taku. Musical Composition Series 2. Kid Ailack Enterprise, KID-0004, 2010. Sugimoto, Taku. Musical Composition Series 1. Kid Ailack Enterprise, KID-0003, 2010. Sugimoto, Taku. Shiisanputou. Slubmusic Tengu, slubmusic tengu 2, 2008. Sugimoto, Taku. Three Speakers. Slubmusic Tengu, slubmusic tengu 1, 2008. Sugimoto, Taku. Mienai Tenshi. LP. Weird Forest, WEIRD 042 LP, 2008. Sugimoto, Taku. Doremilogy. Skiti, sk02, 2007. Sugimoto, Taku. Live in Kansai. Slub Music, SMCD 11, 2006. Sugimoto, Taku. Live in Australia. 2-CD set. Improvised Music from Japan, IMJ-524/5, 2005. Sugimoto, Taku. Principia Sugimatica. a bruit secret, a bruit secret 11, 2005. Sugimoto, Taku. Music for Cymbal. Cut, cut012, 2005. Sugimoto, Taku. Chamber Music. Bottrop-Boy, B-BOY 019, 2003. Taku Sugimoto Guitar Quartet. Taku Sugimoto Guitar Quartet. Bottrop-Boy, B-BOY 014, 2003. Sugimoto, Taku. Tori. Off Site, OFFSITE001, 2001. Sugimoto, Taku. Italia. A Bruit Secret, a bruit secret 01, 2001. Drumm, Kevin, and Taku Sugimoto. Folie á Deux. (Split with Drumm and Sugimoto). Boxmedia, BOXCD001, 1998. Sugimoto, Taku. Opposite. Hat Hut, hatNOIR 802, 1998. Sugimoto, Taku. Fragments of Paradise. Test / Creativeman, CMDD-00063, 1997. Sugimoto, Taku. Myshkin Musicu for Electric Guitar. Slub Music, 1996. Sugimoto, Taku. Alto. 3" CD. Slub Music, SMCD-0295, 1995. Sugimoto, Taku. Slub: Unaccompanied Violoncello Solo. Slub Music, SMCD-01, 1994. Sugimoto, Taku. Mienai Tenshi. LP. 1988. Pisaro, Michael, and Taku Sugimoto. 2 Seconds/B Minor/Wave. Erstwhile, erstwhile 061, 2010. Sugimoto, Taku, and Moe Kamura. Saritote II. Saritote Disk, st 2, 2010. Sugimoto, Taku, and Tetuzi Akiyama. 13 & 14 for Guitars. slubmusic tengu, slubmusic tengu 4, 2009. Sugimoto, Taku, and Taku Unami. Tengu et Kitsune II. Slub Music, SMCD 16, 2009. Yoshimura, Mitsuhiro, and Taku Sugimoto. Not BGM and So On. (h)ear rings, HR-02, 2007. Sugimoto, Taku, and Moe Kamura. Saritote. Saritote Disk, st 1, 2007. Unami, Taku, and Taku Sugimoto. Tengu et Kitsune. Slub Music, SMCD 10, 2006. Raku Sugifatti. Futatsu. 2-CD set. Improvised Music from Japan, IMJ-508/9, 2003. Stangl, Burkhard, and Taku Sugimoto. An Old Fashioned Duet. Slub Music, SMCD 07, 2002. Larner, Brett, and Taku Sugimoto. Deluxe Nakamura. Sparkling Beatnik, SBR0028, 2002. Müller, Günter, and Taku Sugimoto. I Am Happy If You Are Happy. For 4 Ears, CD 1140, 2000. Sugimoto, Taku, and Kevin Drumm. Den. Sonoris, SON-13, 2000. 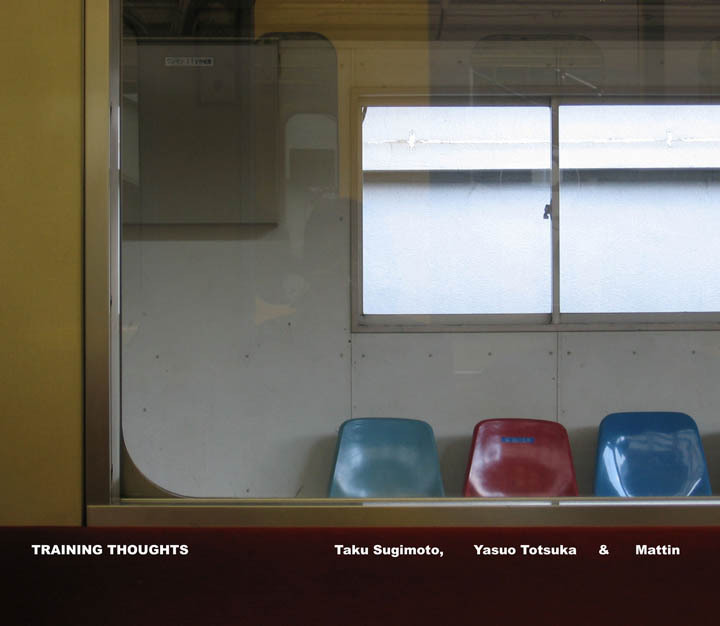 Sugimoto, Taku, and Annette Krebs. A Duo in Berlin. Slub Music, SMCD05, 2000. Drumm, Kevin, and Taku Sugimoto. Duo. Meme, 003CD, 1998. Akiyama-Sugimoto (Tetuzi Akiyama and Taku Sugimoto). The Logic of Exception. Audiocassette. Slub Music. 1996. Akiyama-Sugimoto (Tetuzi Akiyama and Taku Sugimoto). Listener's Digest. Audiocassette. Slub Music. 1995. Yoshimura, Mitsuhiro, Toshiya Tsunoda, and Taku Sugimoto. Santa. Presqu'île, PSQ 001, 2008. Sugimoto, Taku, Yasuo Totsuka, and Mattin. Training Thoughts. w.m.o/r, 09, 2004. Sugimoto, Taku, Burkhard Stangl, and Christof Kurzmann. In Tokyo: First Concert--Second Take. Musica Genera, mg 002, 2002. Otomo, Yoshihide, Taku Sugimoto, and Sachiko M. Les Hautes Solitudes--A Philippe Garrel Film: Imaginarry Soundtrack. Out One, DDCO-1003, 2002. Otomo, Yoshihide, Keith Rowe, and Taku Sugimoto. Ajar. Alcohol, ALORS1CD, 2002. Unami, Taku, Taku Sugimoto, and Masafumi Ezaki. Trio at Off Site. Hibari Music, hibari-01, 2002. Akiyama, Tetuzi, Taku Sugimoto, and Bo Wiget. Hokou. Corpus Hermeticum, hermes 036, 2001. Rowe, Keith, Günter Müller, and Taku Sugimoto. The World Turned Upside Down. Erstwhile, erstwhile 005, 2000. Mongoose. At Penguin House. Slub Music, SMCD-04 1999. Pisaro, Michael, and Taku Sugimoto. D Minor/B♭ Major (2011/2012). Slubmusic, SMCD 19, 2012. Core of Bells, and Taku Sugimoto. Gesupiria 2: Lost Banchos. Chaoz Chaos, CZCS003, 2010. Capece, Lucio, Julia Eckhardt, Christian Kesten, Radu Malfatti, Toshimaru Nakamura, and Taku Sugimoto. Wedding Ceremony. Cathnor, Cath007, 2009. Okura, Masahiko, Taku Sugimoto, and Taku Unami. Chamber Music Concerts Vol. 1. 3-CD set. Hibarislubloadfactor, hibarislubloadfactor 1-3, 2008. Veliotis, Nikos, Taku Sugimoto, Kazushige Kinoshita, and Taku Unami - Quartet. Hibari Music, hibari-06, 2005. Intonarumori Orchestra. Intonarumori Orchestra. Off Site, OFF SITE-004, 2004. Larner, Brett, Taku Sugimoto, and Burkhard Stangl. Compositions for Guitars. a bruit secret, a bruit secret 103, 2003. Akiyama, Tetuzi, Toshimaru Nakamura, Taku Sugimoto, and Mark Wastell. Foldings. Confront, confront 12, 2003. SSSD. Home. Grob, GROB 431, 2002. Nakamura, Toshimaru, Tetuzi Akiyama, and Taku Sugimoto. The Improvisation Meeting at Bar Aoyama. Reset, reset 002, 1999. Okura, Masahiko, Günter Müller, Taku Sugimoto, and Yoshihide Otomo. Metal Tastes like Orange. Secret Recordings 1. Valve/Amoebic, AMO-VA-04, 1999. The Improvisation Meeting in Chicago. Radio Off Duty, LFQR 779, 1998. Piero Manzoni. Black Is the Color of My True Love's Hair / Butterfly Blues. 7" single. LM-0805, 1986. Henkyo Gakudan. Recorded live. Audiocassette. 1992. Amephone. Retrospective. Golden Collette, aya-004, 2012. Malfatti, Radu. Kid Ailack 5. B-boim, b-boim 014, 2008. Ezaki, Masafumi. Othello / 3 Minutes. Slub Music, SMCD 14, 2008. Beuger, Antoine. A Young Person's Guide to Antoine Beuger. Slub Music, SMCD 13, 2008. Otomo, Yoshihide's New Jazz Orchestra. Live Vol. 2: Parallel Circuit 2-CD set. doubtmusic, dmf-117/118, 2007. Unami, Taku. Kitsune-Hitori. Slub Music, SMCD 08, 2005. L. Holy Letters. VHF, vhf#84, 2004. Nakamura, Toshimaru, and Tetuzki Akiyama. Meeting at Off Site Vol. 2. Improvised Music from Japan, IMJ-506, 2003. Otomo, Yoshihide, and Masahiko Shimada. Miira ni Naru made: German Version. Charhizma, charhizma 017, 2002. Otomo, Yoshihide. Ensemble Cathode. Improvised Music from Japan, IMJ-502, 2002. Nakamura, Toshimaru, and Tetuzki Akiyama. Meeting at Off Site Vol. 1. reset, reset003, Improvised Music from Japan, IMJ-501, 2002. Aya Collette. Esquisse 2/3 for the Branch 2. Plus Disk, 2001. Otomo, Yoshihide. Anode. Tzadik, TZ 7073, 2001. Larner, Brett. Itadakimasu. Spool, SPL 114, 2001. Tsuki no Wa. Ninth Elegy. 360°, 360R15, 2000. TV Pow. Away Team, Tokyo 1997. Boxmedia, BOXCD003, 1998. Amephone. Buenos Aires. 3" CD. Aya-Collette Disque, 1995. Ghost. Temple Stone. P.S.F., 1992. L. Holy Letter. Holy Castle, CCD-21, 1992. Relay: Archive 2007-2008. 2-CD set. Manual, manualcd02, 2009. Yasuziro Ozu: Hitokomakura. 2-CD set. and/OAR, and/26, 2007. Haunted Weather. 2-CD set. Staubgold, staubgold 52, 2004. Insight. 2-CD set. Xing-Wu, XWU5001CD, 2004. Amplify 2002: Balance. 7 CDs and one DVD. Erstwhile, erstwhile 033-040, 2003. Loud :: Quiet. 2nd edition. 2-CD set. BOXmedia, CD009, 2002. Off Site Composed Music Series in 2001. 2-CD set. A Bruit Secret, 101-102, 2002. Deluxe Improvisation Festival 2001: Day One. CD-R. ASE, ASE-04, 2002. Deluxe Improvisation Festival 2001: Day Two. CD-R. ASE, ASE-05, 2002. Improvised Music from Japan Presents Improvised Music from Japan. Improvised Music from Japan, IMJ-10CD, 2001. Deluxe Improvisation Series, Vol. 1: 2000. ASE, ASE-02, 2001. Deluxe Improvisation Series, Vol. 2: 2001 Part 1. ASE, ASE-03, 2001. Mottomo Otomo: Unlimited XIII. Trost, TR076, 2000. Loud :: Quiet. 2-CD set. BOXmedia, CD009, 1999. The Branch: Filing Any Sort of Ambience Ethnique. Directed by Amephone. 360°, S360R6. Circuits Brasileiros. 360°, S360R4, 1997. Silver Minutes. 360°, S360R1, 1997. Tokyo Flashback 4. P.S.F., PSFD-69, 1995. The Miracle of Levitation. Gentle Giant, GGCD001, 1995.